Xiaomi Redmi Y2, the successor of the Redmi Y1, has been launched in India. It's a selfie-centric smartphone from the Chinese smartphone maker, that offers decent specifications at a pocket-friendly price. Here's a look at Redmi Y2 specifications. The Redmi Y2 flaunts a 5.99-inch HD+ (1440X720p) display with 18:9 screen aspect ratio and trimmed bezels. The phone is powered by Qualcomm Snapdragon 625 chipset, paired with 3GB/4GB RAM and 32GB/64GB internal storage. You can further expand the Redmi Y2 internal storage up to 256GB via dedicated microSD card slot. For photography, the Redmi Y2 features a 16-megapixel front camera with Auto HDR, soft LED flash and AI for portrait shots. 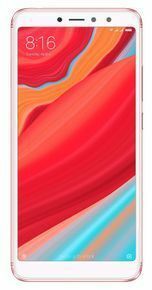 The rear panel of the phone sports a dual-rear camera setup where the primary sensor is a 12-megapixel shooter and the secondary sensor is a 5-megapixel snapper. The Redmi Y2 runs on the MIUI 9.5 with Android Oreo (8.0) as the base OS, and it houses a 3080mAh battery. The connectivity options on the same include 4G VoLTE, Dual SIMs, Wi-Fi 802/11 a/b/g/n standard, Bluetooth 4.2, GPS, micro USB 2.0 charging port, and a signature IR blaster. The Redmi Y2 measures 160.7 x 77.3 x 8.1 mm and weighs 170 grams. The Redmi Y2 best price in India is Rs 9,999 for its 3GB RAM variant and Rs 12,999 for its 4GB RAM variant. The phone is available for sale in three color options - Dark Grey, Gold, and Rose Gold, from Amazon.in and Mi stores. You can subscribe to Smartprix notifications to get instant updates, deals and sale offer on the phone.